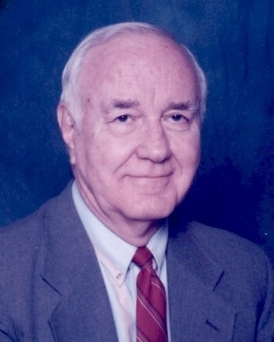 Carl Deck, 87, of Port Charlotte, FL passed away peacefully on Friday, January 25, 2019. Carl Andrew Deck, III was born in Easton, PA on January 24, 1932 to Carl A. and Rose Emma Deck (nee Keck). He is survived by his wife of 63-1/2 years, Rose Barbara Kolodejcak Deck, a son, Carl (Karen) Deck, a brother, George Deck of Lubbock, TX, grandsons Matthew (Kerry) Liddick, Joshua-James Patrick, Shawn-Paul Patrick, Kyle (Amanda) Kalstabakken, and granddaughters Sarah-Lyn Patrick and Kristin (Morgan) Kalstabakken. He is also survived by several nephews and nieces, and by two foster daughters, Rose Mary (Robert) Nagle and Betty Jane (Louis) Bergos. Carl was preceded in death by a daughter, Melanie Patrick, a son-in-law, Michael Patrick, brothers Charles “Bud” (Thelma), Joseph (Rosemary), Paul (Lois) and sisters Rose (Nicholas) Lansche, Elizabeth (John) Kolchak, Catherine (John) Fagan, Helen (Ralph) Singley, Bernadine (Robert) Wilhelm, and Emma (Francis) McCabe. As an Aviation Electronics Technician, Carl served in the U. S. Navy for four years, beginning during the Korean War. He served in duty stations at NAS Guam and at NAS Alameda, CA where he met and married Rose. 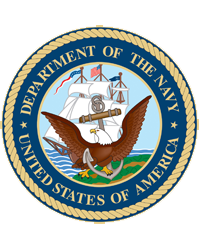 After being honorably discharged from the U. S. Navy, Carl was graduated from East Stroudsburg State College with a BS and later an MS degree. His first teaching position was at Southold, on eastern Long Island, NY. Later, he accepted a teaching position at Southampton, also on eastern Long Island, NY, where he also coached varsity baseball, gymnastics, and one year of collegiate soccer at Long Island University in Southampton where his team won the ECAC championship. He concluded his full-time teaching career at Susquehanna Township, a suburb of Harrisburg, PA and then retired with Rose to Cape Coral, FL in December 1987. As a result of Carl’s lifelong love of gymnastics and coaching, he started Mid-Atlantic Gymnastic Camp. Later, he established Harrisburg Gymnastic School, which produced Pennsylvania state champions. Always wanting to be busy, even in retirement, Carl decided to teach in a substitute role at Caloosa Middle and Trafalgar Middle Schools. He continued to coach gymnastics at Chris Brooks Gymnastics Schools, Brenda Johnson’s Gym School, and Sean & Christie O’Lone’s Gym School in Cape Coral, FL. When he reached the age of 75, he decided to retire from coaching. Funeral mass to be held on Monday, February 4, 11:00 a.m. at St. Charles Borromeo Catholic Church, 21505 Augusta Avenue, Port Charlotte, FL. Burial will be held at Sarasota National Cemetery immediately after the mass. In lieu of flowers, please consider a donation to either the American Cancer Society or Tidewell Hospice at tidewellhospice.org.